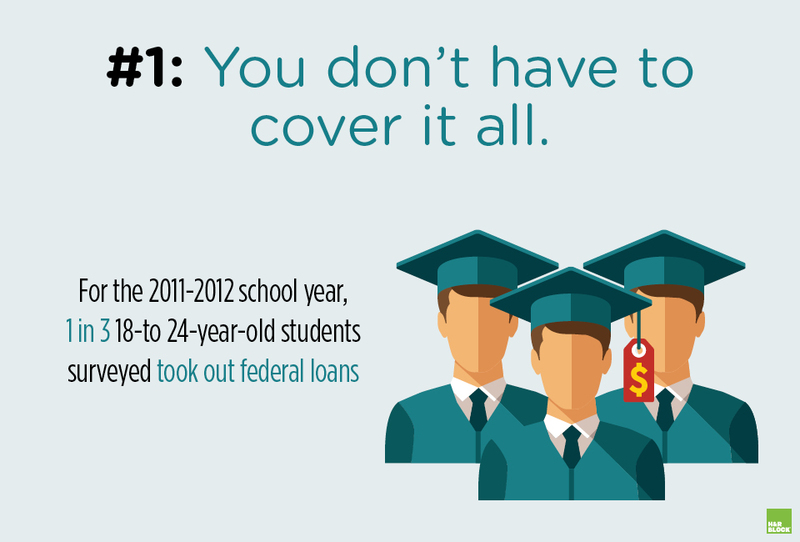 Need to know how to save for college in only a few years? While it’s not impossible, the first thing to do is to set realistic expectations. If it’s been difficult to save over the course of the last decade (or more), you probably won’t be able to sock away excessive amounts of money in the next few years. That’s OK. 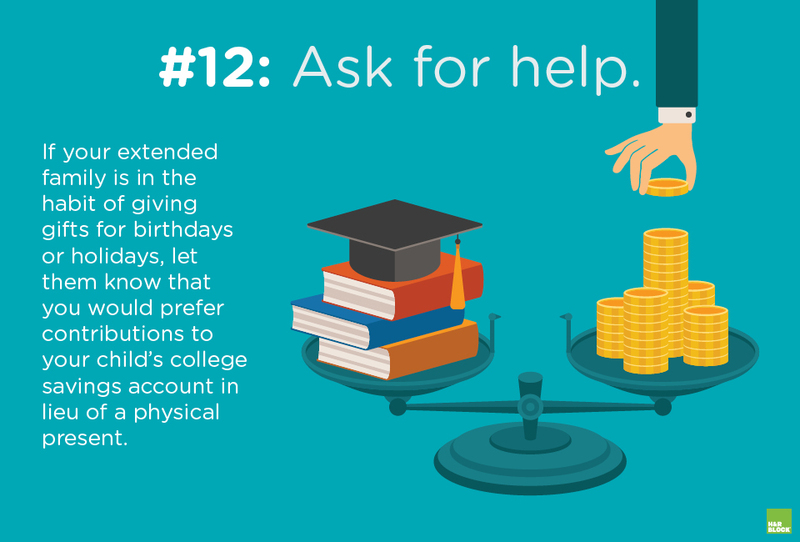 Here are 13 strategies to finance a college education in a short amount of time. First, realize that a parent-financed education is not a right, even if it is becoming more common. 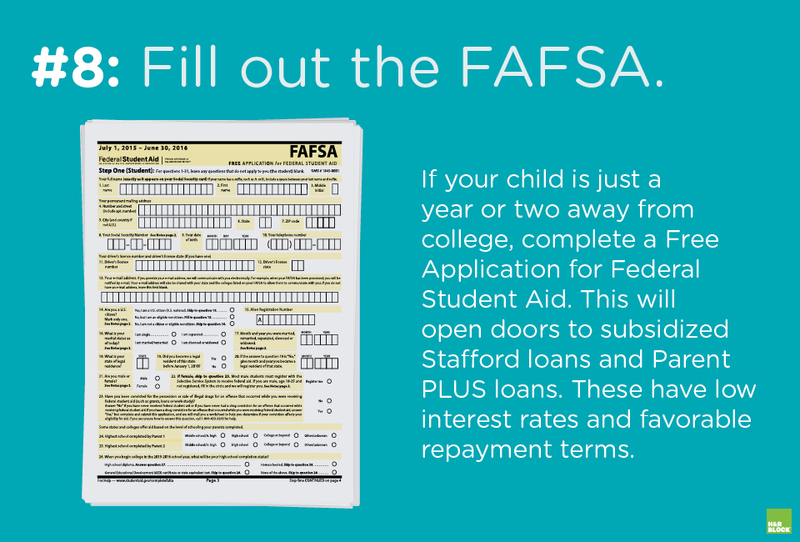 Your child will likely be able to put together a financial aid package that could include scholarships, work-study income and student loans. If you have a significant amount of debt – particularly high interest debt – it may make the most sense to focus on paying that debt instead of saving. 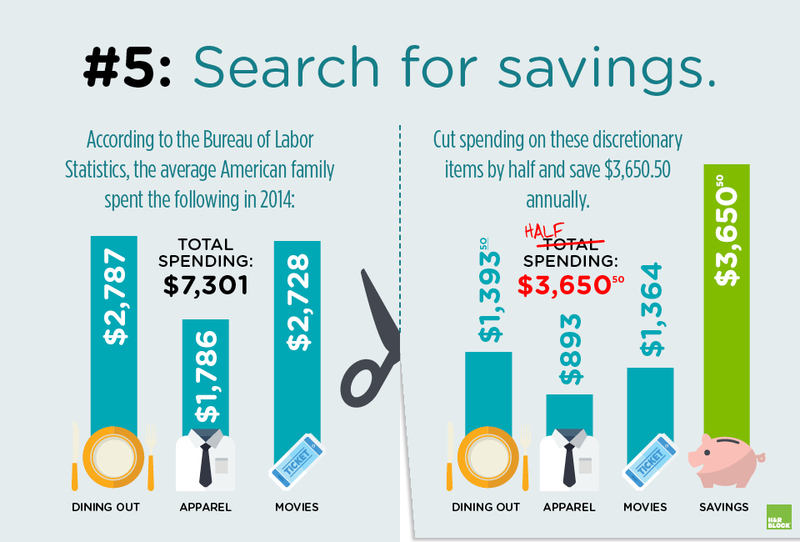 Start saving with a plan and a budget. 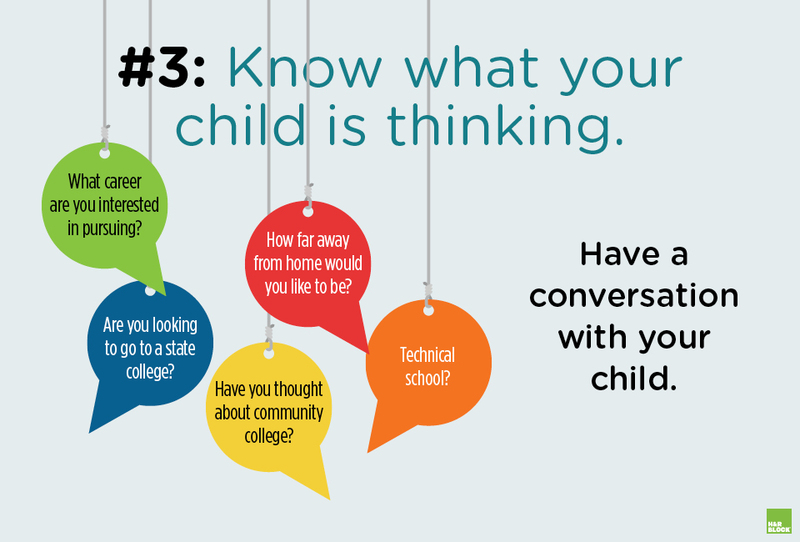 Get on the same page with your child so that expectations and budgets can be set by asking questions and having frank discussions. While circumstances may change in the next few years, settle on the ideal scenario. Maybe it’s two years of community college and then a university with a specialized program. Maybe it’s four years at a state college. 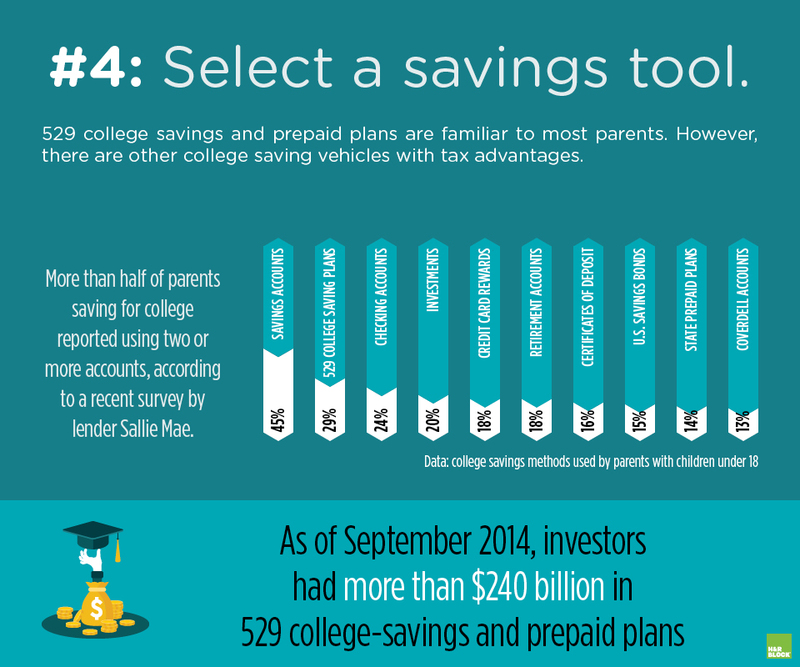 There are many options for savings – even beyond the 529 college savings and prepaid plans that are common. They include Coverdell Education Savings Accounts, Roth individual retirement accounts, savings bonds and ordinary bank accounts. Do some research, or talk with a financial advisor, to determine what is best for you. When considering a 529 plan, look at age-based ones and choose a plan with a risk level that you are comfortable with. Also, don’t forget to look at any investment fees that could be associated with 529 plans, IRAs, Coverdell accounts and more. 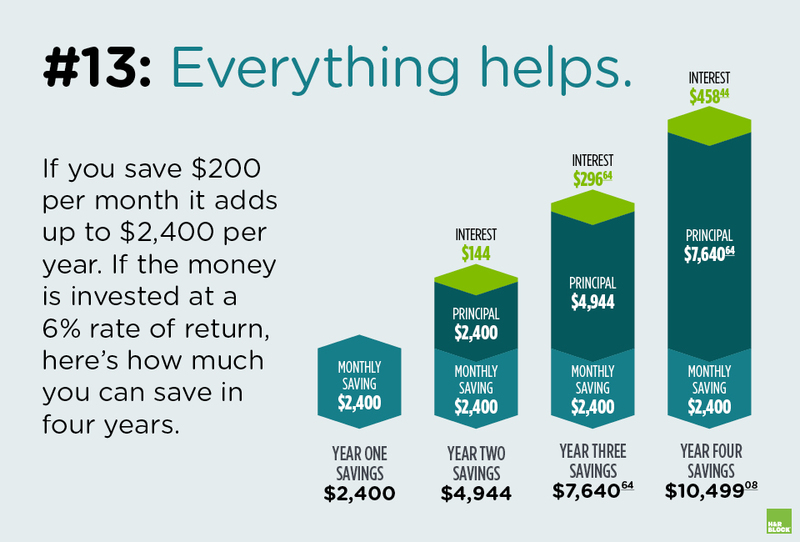 Those can eat into any savings, making more of an impact for a short-term saver. What “splurges” do you make on a regular basis? Consider whether you can cut out most restaurant meals, live without premium cable or stop purchasing mobile data. Eliminating entertainment expenses and travel expenses can free up a significant amount of money to be invested into college savings. If you really want to be drastic, you could consider moving into a smaller home, selling a car or downsizing your car. Once you’ve determined how much you can reallocate from expenses to educations savings, it’s time to make it automatic. Get credit to work for you. 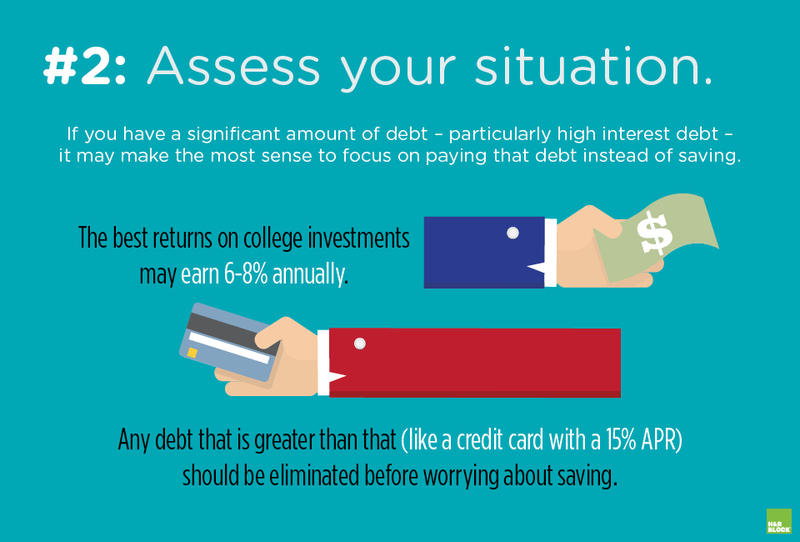 Credit cards could actually help you save for college. 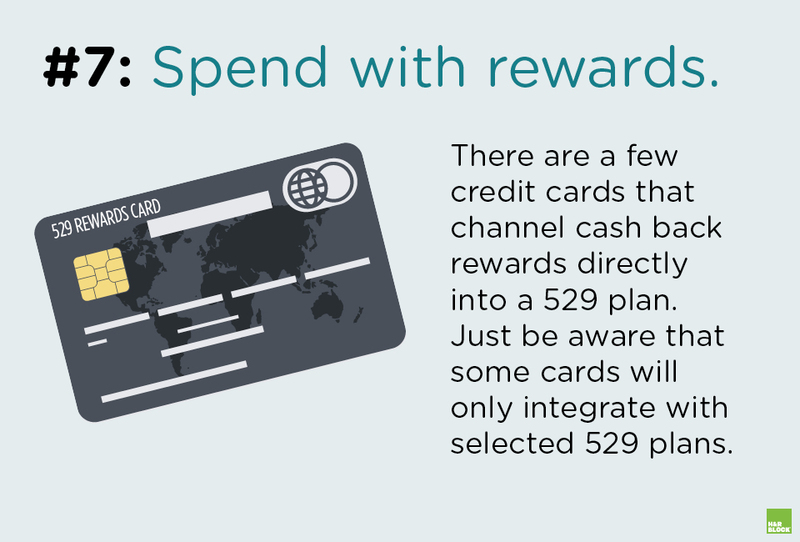 They include the Fidelity Investment Rewards American Express Card, Alabama’s CollegeCounts, Illinois’ Bright Directions 529 Rewards Visa cards, and the Upromise MasterCard issued by Barclaycard. Completing the Free Application for Federal Student Aid is an important step in putting together a financial aid package. 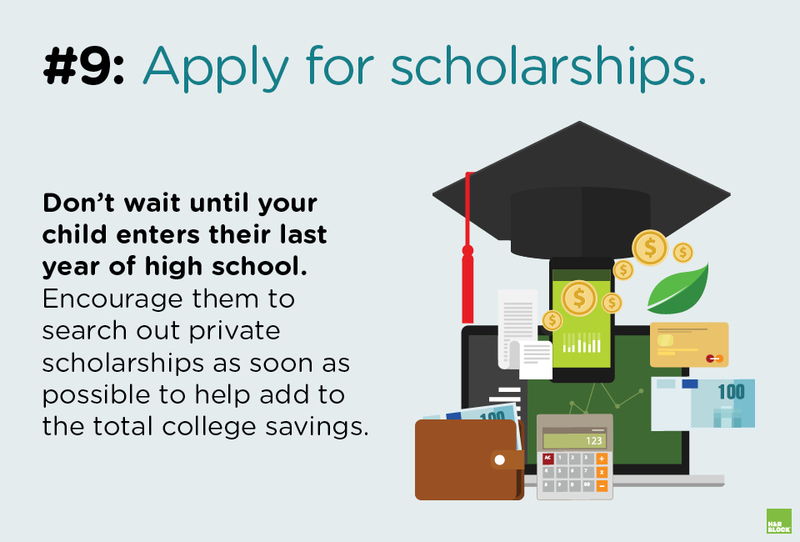 There are some college scholarships that will be awarded early – even before your child turns 13! Applying for them early is a great way to sock away savings. Get ahead with credit hours. 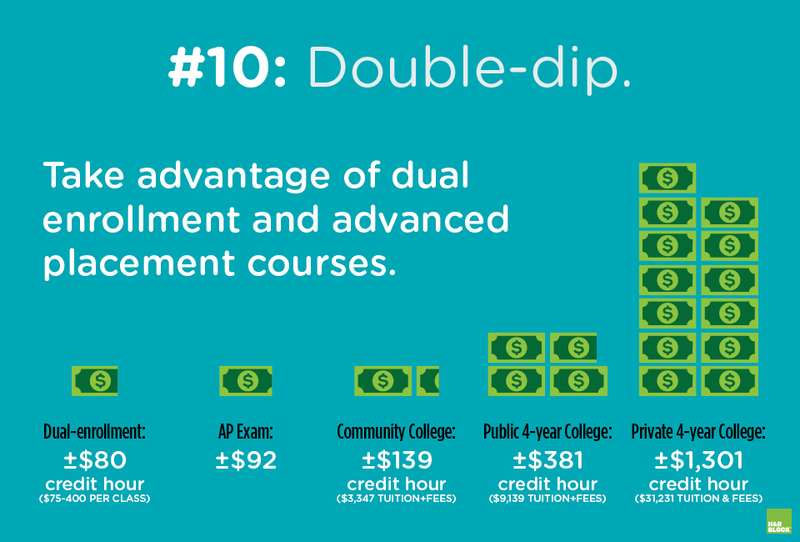 The cost associated with dual enrollment or AP courses is generally much less than the tuition cost for a college course. Accumulating more credits at a cheaper price will reduce the overall cost of higher education. Ask your child to save, too. 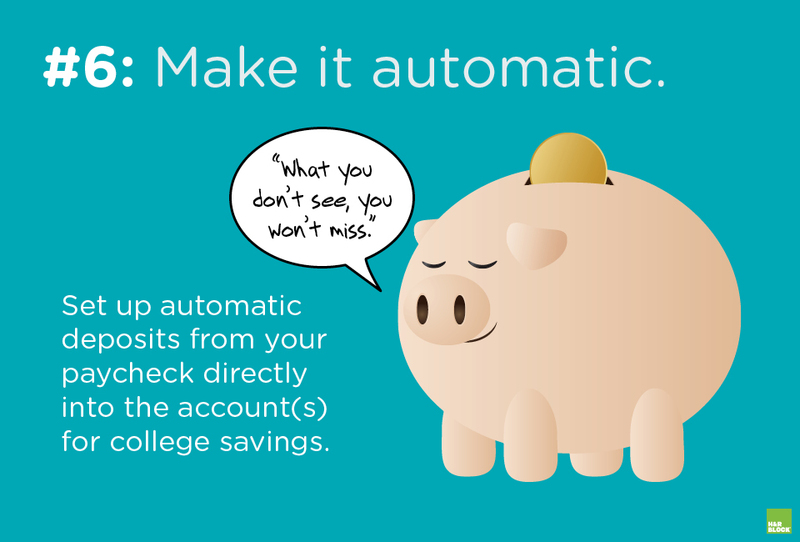 Whether your child has odd jobs or a regular part-time job, set the expectation that a certain percentage of their earnings will go automatically into the college savings account – just like it does for you. Additionally, you may make them responsible for a smaller portion of the college bill: books, a meal plan or activity fees. Friends and family members are a great resource to help save. Really, it does. Thanks to compound interest. 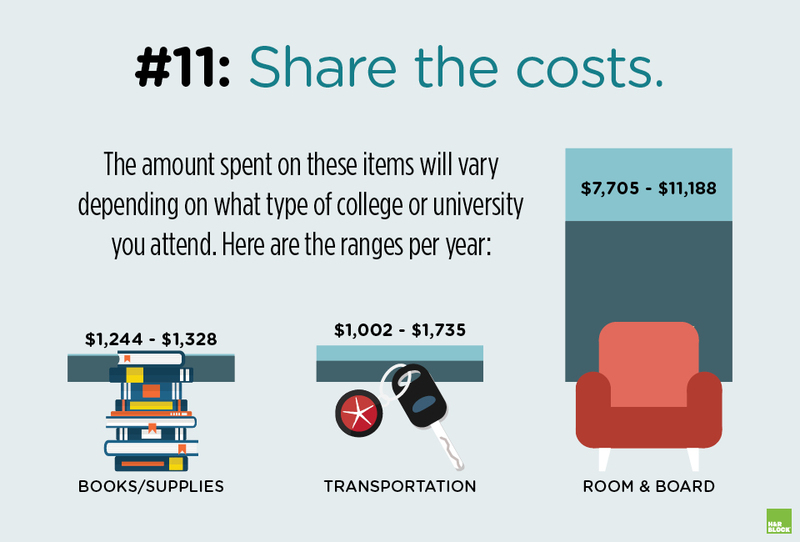 The average cost of tuition and fees for 2014-2015 was $9,139 for state residents at public colleges. So, in four years of saving, you have a great start on paying for your child’s education.